Meet the future of the X-Men! Karma. Wolfsbane. Sunspot. Cannonball. Moonstar. They’re teenagers, thrown together by the X-gene that makes them different. Follow the adventures of these young mutants from Karma’s first meeting with Spider-Man and the Fantastic Four to their early days at the Xavier School! 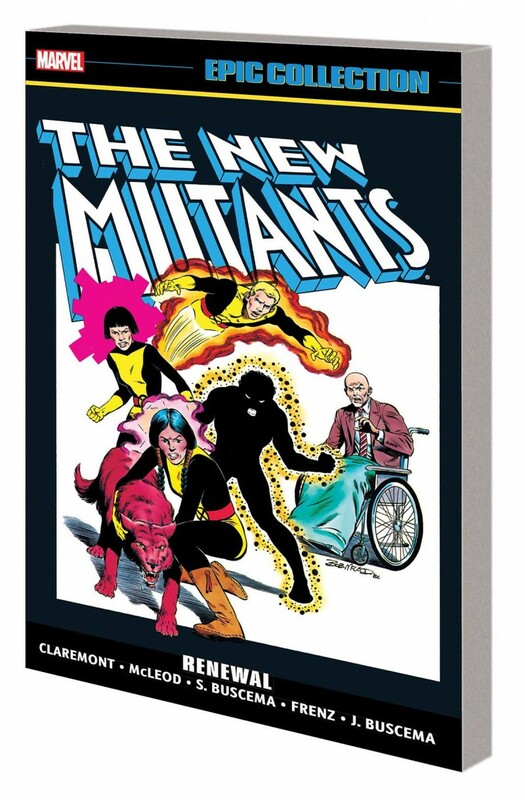 The New Mutants’ on-the-job training begins in earnest with battles against Sentinels, the Silver Samurai, Viper and the Hellfire Club; a team-up with Spidey and Cloak and Dagger - and the team gets a taste of life as X-Men in a disturbing encounter with the Brood! Plus: Meet fiery new recruit Magma, and discover how Colossus’s sister, Illyana, became the demon sorceress known as Magik!